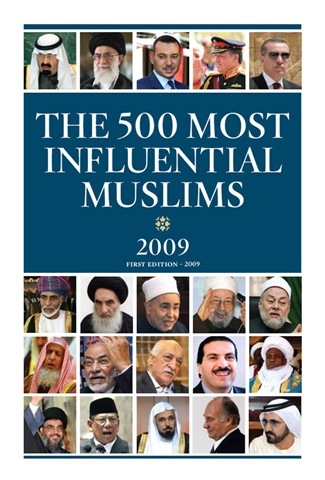 Claiming to be the first attempt of its kind, The 500 Most Influential Muslims starts off on a wrong foot. Royal Islamic Strategic Studies Center in Amman and Prince Alwaleed Bin Talal Center for Muslim-Christian Understanding list, lo and behold, King Abdullah of Saudi Arabia at the top of 1.5-2 billion Muslims. Perhaps coming to the late realization that money cannot buy hearts, it seems that a certain interest group is on an intellectual campaign to win minds. King Mohammad VI’s lineage makes him the only legitimate contender for the Islamic Caliphate, as successor to a 350 year-old dynasty. The Alaouite Dynasty links back to the Prophet Muhammad. He possesses the only authentic claim to an Islamic Caliphate, if one were to be established. Indeed, the Moroccans never recognized the Ottoman Caliphate on the grounds that the Ottomans were not descended from the Prophet Muhammad. In total 72 Americans are among the 500 most influential Muslims, a disproportionately strong showing, but only one among the top 50. Sheikh Hamza Yusuf Hanson of Zaytuna Institute is listed surprisingly at number 38. The world leader of the Naqshbandi Haqqani Sufi order, however, Sheikh Nazim al Haqqani, with millions of followers worldwide, spiritual adviser to kings, presidents, doctors, lawyers, professors and others across the spectrum of profession, race, and ethnicity on seven continents, is listed at number 49. While Sheikh Hamza Yusuf has successfully built the Zaytuna Institute, his influence is confined mostly to American academia, scholars and students. Surprisingly, Khaled Mashaal, leader of Hamas, (at number 34) is listed before any American Muslim. Osmanli Naksibendi Hakkani Dergahi, Siddiki Center, New York. reason for man’s being in this world is to be under the service of His Lord. to them, what was going to happen to them. He went to Miraj. He saw everything. full with my Ummat, especially the women of this Ummat.’ Hmm. to My hand.’ And they were all punished and perished. happened and that Jahiliyya is entering everywhere and Sheytan is very happy. happy in the Judgment Day. Beyond that too. catch that in Dunya, don’t think that you are going to get it in the grave. much difference it will make, it doesn’t matter now, the Ramazan is finished. complete but some people make it open. So, when you do something right, hide it. ta’ala may not make you the biggest fool. more things to open to you, ways to open to you. You shut every door.’ Hmm. during their time, and they got so fooled by Sheytan and they lost everything? How fool you are!’ The curse will be coming then. That is worse than Jahannam. Him. If we do that then we are going to become winners. waiting to every one of us. Everyday we are running, moving towards Akhirat. Uçup gittin buralardan, canımın canı nerdesin? Uçup gittin buralardan, gözümün nuru nerdesin? Gittiğin yol çokmu uzak, dönülmeyen yerdemisin? Gel, yağmur ol gel! Gel, rüzgâr ol gel! Is it far away where you are? Can’t you return?